Summer is here and it’s the perfect time to revamp your home office! No more Ikea particle board or cheap plastic imitations; we are talking the real deal. Parker House Furniture is a family owned business that has been around since 1946. Everything is made from solid wood and each piece exudes a classy European elegance. However, don’t limit yourself to just the home office. Parker House furniture also manufactures living room entertainment pieces. Let us take a few minutes of your time to show you our GREAT selection of Parker House Office Furniture and more all found online at GreatFurnitureDeal.com. without breaking the bank, we highly recommend either one of these collections. 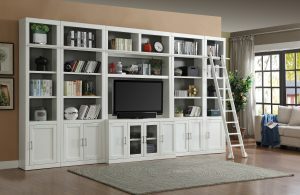 One of our sales reps would be happy to build the perfect wall unit for your home. The Barcelona Library Collection from Parker House Furniture and sold by GreatFurnitureDeal.com has ample shelf space and options to allow you to create the library wall of your dreams. The option of a an executive desk, library desk, writing desk, varying sizes of bookcases, file cabinets, and media consoles can fill all of your needs. The hutch is large enough for your book collection, yet it won’t take up too much space in your living area or loft. The elegant design includes European influenced embellishments and carvings, which would enhance any room in your home. 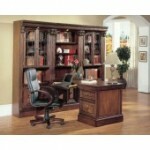 Do your work in class and style by owning the Barcelona Library Hutch from Parker House Furniture! 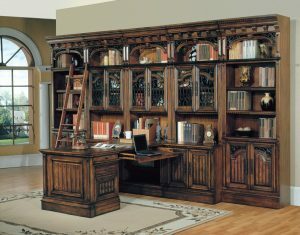 The Parker House Grand Manor Palazzo Museum Bookcase will also allow enough shelf space without overcrowding. This piece is equipped with shelving, a ladder to reach high areas, and two drawers down below. It is great for those who don’t have a lot of space, but want the look and feel of a mini library. Not to mention the dark wood and rustic embellishments on the outer edges. Have we convinced you yet? 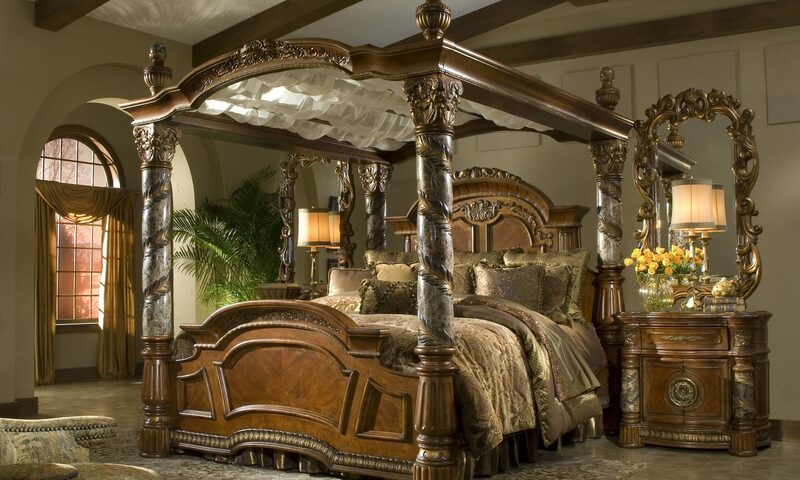 Go online and view the Grand Manor Palazzo online at GreatFurnitureDeal.com! If two bookcases isn’t enough, you can add as many extensions as you would like. See more configurations of the set here: Parker House Grand Manor Palazzo Museum Bookcase Collection for even more shelf space! The Parker House Huntington Peninsula Wall Unit is a multi-functional wall display, entertainment wall, home office, and library bookcase; one of our favorite sets! No need to spend thousands on several pieces when you can buy once piece that has everything. With it’s antique pecan finish, lighting on cabinet fronts, and the traditional English style, the Peninsula Wall Unit by Parker House Furniture will make your home office bright and beautiful. 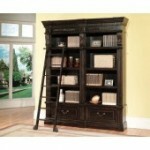 Learn more about this unit on our site at GreatFurnitureDeal.com.